MOSCOW, May 28. /TASS/. 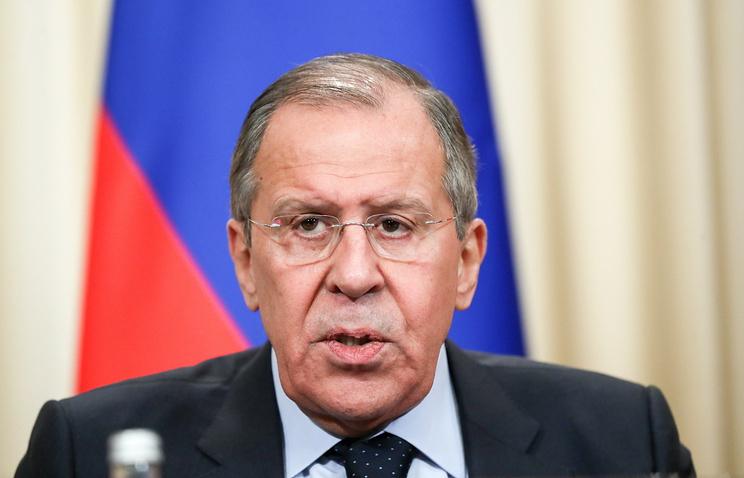 Islamic State-related groups have stepped up their activity in the area of Al-Tanf, controlled by the United States, Russian Foreign Minister Sergey Lavrov told a news conference on Monday. "We have gathered much evidence some strange things are happening in Al-Tanf. In our point of view this area is of no considerable significance for the anti-terrorist operation. In practice we can see that in this area, including the Rukban refugee camp, armed groups appear ever more often and, according to our sources, they have connections with the Islamic State." He recalled that the issue had been repeatedly brought up in the course of various contacts with US partners. 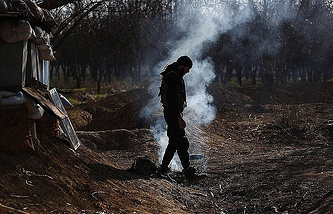 "We drew attention to the fact that this is in conflict with our agreements as to how to arrange for de-escalation work in Syria within the framework of regular contacts between the military," Lavrov said. Moscow expects Washington to withdraw troops from Syria’s Al-Tanf as their presence there is pointless from the military standpoint, Lavrov said, commenting on media reports about US plans to pull troops out of the area. "As for media reports about the US making plans to withdraw troops from the Al-Tanf area, I have already said that this zone was artificially created for reasons that are difficult to understand from the standpoint of military feasibility," he said. "This is why our Defense Ministry has been drawing our US counterparts’ attention to that fact and they seem to be coming to the same conclusion," the Russian top diplomat noted, adding that he expected practical steps to that end. US President Donald Trump stated earlier that once the operation against the Islamic State terror group (IS, outlawed in Russia) was over, the further presence of US troops in Syria would be pointless so they would return home soon. Agreements concerning the southern de-escalation zone in Syria imply that only Syrian government forces can remain on the border with Israel, Lavrov said, commenting on Israeli media reports about Moscow’s plans to ask Iran to pull its units back from the Syrian-Israeli border. 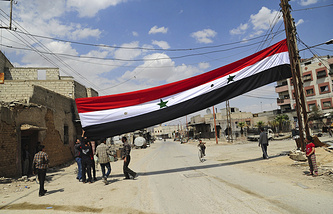 "In the end, only Syrian government forces must remain on the country’s border with Israel," the Russian top diplomat said. He pointed out that the 2017 agreements on setting up a de-escalation zone along the Syrian-Israeli border implied that all foreign troops must pull out of the area. On Sunday, Israel’s Haaretz newspaper wrote that Moscow may convince Iran to pull its troops back 60 kilometers from Syria’s border with Israel.